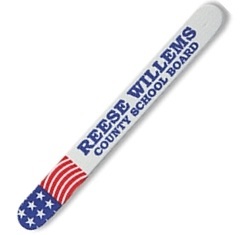 Customized Patriotic Emery boards are excellent campaign advertising. Especially attractive and effective to target women voters. Emery boards are very popular with women. We can help you design all your products for your campaign and offer not only years of experience but free quotes.